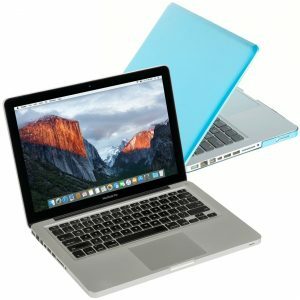 **Apple 13.3″ MacBook Pro MB990LL/A + Free Case from tanga. Price: $309.99. Discount: $490.00. Categories: Computers, Laptop, Apple, MacBook, Pro. Deal Rating: 5 Stars out of 5. Store Rating: 5 Stars out of 5. Deal Recommendation: Recommended. Available Until: Limited Quantity. Thoughts: Clearance – Apple 13.3″ MacBook Pro MB990LL/A + Free Case. Deal Score: 92 out of 100.